We need your help in order to accomplish our mission to provide enriching opportunities for all Atkinson students. Our PTA funds the Outdoor Learning Gardens, Student Field Trips, New books and Materials for the Classrooms and Library, Cultural Celebrations, Seasonal Festivities, Running Club, Basketball, and MUCH more! It’s exciting to be a part of making your child’s time at Atkinson exceptional. Please consider joining the PTA and attending meetings to help determine how the money we raise is allocated. What you can do: Send a direct donation to the PTA to help with our fundraising efforts for the school year. Why: 100% of your donation will directly support our PTA programs and activities. Any donation, big or small, is greatly appreciated! How: Click here to donate to our PTA online or download a donation form here (for Spanish, click here ). You can also pick up a form from the school office. For online donations, please specify that the purpose of the donation is for the “Fall Direct Donation Drive.” For paper forms, fill out the requested information, attach an envelope with your cash donation or check made out to Atkinson PTA, and place it in the PTA lockbox in the school office. No need to buy anything or collect anything- you’re done! Extra Credit: Ask grandparents to make a donation to the direct donation drive, too! Contact: The PTA President if you have questions. What you can do: Please attend this important fundraiser and social event! This year’s auction will be held at the The Loft @ 8th Avenue on March 16th, 2019. Why: Support the largest PTA fundraiser of the year and have fun doing it! Extra Credit: Invite Family and Friends to come to our event- there will be tons of great items to bid on- all for a great cause. Donate goods and services through your business or employer. Be a sponsor of the event! Visit the PTA Auction Page to learn more about the event or download our Atkinson Elementary 2019 Sponsorship Packet. Contact our Auction Chair at atkinsonauctionpps@gmail.com with questions. What you can do: Volunteer with Atkinson Running Club Coordinator, Sheryl Walsh, to help at the Foot Traffic Holiday Half Marathon running event. Why: It’s fun! Runners often dress up in holiday wear and volunteers listen to festive music while handing out water or medals. Plus, parents and children can volunteer together, and Atkinson earns money for each person from our school who comes out to help. When: Early December. Watch for details in the FYI. What you can do: Eat at a participating restaurant on the date advertised. Why: A portion of the profits from the evening will be donated to Atkinson PTA. How: Look for signs with dates and location of a local restaurant that has partnered with us. Info is also on our home page and the PTA Bulletin board in the school lobby. Extra Credit: Plan to meet up at the restaurant with other families from your child’s class! What you can do: Shop on Amazon using the smile.amazon.com tab and select Atkinson Elementary. Why: At no cost to you, Amazon will donate a portion of the purchase price to Atkinson PTA every time you shop. How: Go to www.smile.amazon.com and select Atkinson Elementary PTA. Bookmark the smile page. Extra Credit: Share and sign up friends and family. What you can do: Shop at Fred Meyers and use your Rewards Card linked to Atkinson PTA. Why: Fred Meyers donates a portion of your purchases to Atkinson, and you still receive all benefits. How: Go to www.fredmeyer.com > click “rewards” tab>click “Community rewards”> select Atkinson Elementary. What you can do: Collect the box tops on hundreds of products. 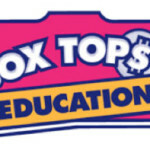 Why: Box Tops are each worth 10 cents for your school. How: Bring the collected Box Tops to the school office. Other Fundraisers: More details to follow. Run for Atkinson: Kids collect sponsors and run laps on a designated day. Funds our week long Artist in Residence program. Outdoor Learning Gardens T-shirt Sale: Show your school garden pride by purchasing these special Atkinson OLG t-shirts. Available in child and adult sizes. Read-a-thon: Fundraiser for 4th and 5th grade students to raise money for their overnight field trips. Cheetah Baggu Bags and Atkinson Note Cards: on sale all year during special events. Check Office. Contact our PTA Fundraising Chair, with any questions or to share ideas for fundraising opportunities.